RJCA has many different volunteer and internship opportunities—both in the office and through our community conferencing program. If you are interested in working behind the scenes, in the office, for opportunities please call our main line at (612)746-0780. 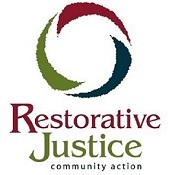 RJCA brings people together to make things right including the community, system partners, and offenders. Many of our volunteers have been involved for a number of years. Nearly fifty percent have dedicated more than three years of volunteering.